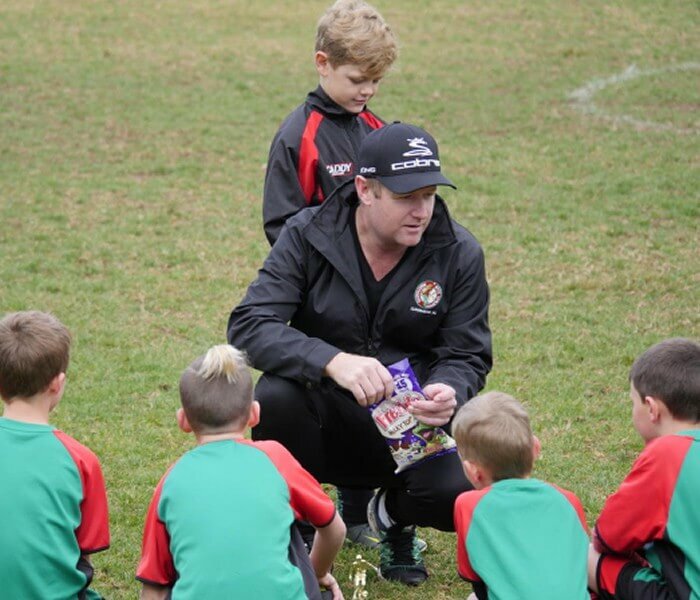 The Glenhaven Football Club utilises the following Grading Policy for the purposes of ensuring smooth allocation and integration of all registered players in to appropriate teams at skill levels commensurate with individual player abilities. At these ages the aim of the Club and Association is to develop player skills in a non-competitive environment. As a result each age has no defined divisions but instead are designated by colour. The club and association are conscious however that player development can be impacted by the skill level of those that they play with and against. To maximise player development and to minimise changes to teams in future years where teams are graded, players are assessed on grading/orientation day and put into teams where the skill levels of the players are similar. The club will endeavour to keep players in team where friendships have been established however this cannot be guaranteed as it is dependent upon the number of players registered in each age group and the division nominations granted by Association. While not graded in a way that is visible to parents and players, HFA will place teams of similar skill in the same division. At this age the Club and Association will prepare the players for competitive football. Although still non-competitive, teams are graded into divisions based on skill level. Players are graded into divisions with 1 being the highest skill level and X being the lowest skill level. Depending on the accuracy of grading in the non-competitive age group teams should remain relatively unchanged. Promote club growth and player development. Note: Football by nature is a competitive sport. The club also seeks to encourage club loyalty. As with any competitive sport sometimes these two objectives will be in conflict. The club will always endeavour to grade a division 1 team in all competitive age groups with reference to the above objectives. However should a higher graded player wish to play with friends who have been graded into a lower division then the club may place the higher graded player in the lower division. This may not always be possible however due to the number of players in a particular age group. Upon arrival at the ground each player will need to sign in with the designated grading committee member. If the age group to be graded involves one of the grading committee’s children then that member will not partake in the grading of that age group. For under 12’s and up the division 1 coach from the previous year may be invited to assist the committee in case players are absent or have just not performed on the grading day but are normally of a higher level of skill. Upon completion of grading, the grading committee will submit its results and recommendations to the club board for final approval. U12 to U18 – 11 Players on field (ideal team size 14). Give the player the option to register with another club. At the end of the previous year the Director of Coaching will request the coaches of each team to assess the players in his team and give feedback to the club on the players’ skill and improvement within the year. This feedback will be utilised by the grading committee in allocating players to teams in the current year. Our club is run by volunteers. They give their time at no cost to the club to help in its running. The club requests that you respect the grading committee’s decision and do not abuse the members of our grading committee. The board will do all it can to accommodate individual requests, however it may not always be possible or practical to do so. The board understands that mistakes are sometimes made, and in that instance we are more than happy to answer any questions or alleviate any concerns you may have as long as it is done in an appropriate manner and with respect. Tuesday, 22 January 2019 EARLY BIRD REGISTRATIONS NOW OPEN! Tuesday, 22 January 2019 GLENHAVEN LADIES - COME PLAY WITH US IN 2019!